Grand Central Publishing, 9781455584291, 256pp. From the host of MTV's #1 show Catfish comes the definitive guide about how to connect with people authentically in today's increasingly digital world. As the host of the wildly popular TV series Catfish which investigates online relationships to determine whether they are based on truth or fiction (spoiler: it's almost always fiction). Nev has become the Dr. Drew of online relationships. His clout in this area springs from his own experience with a deceptive online romance, about which he made a critically acclaimed 2010 documentary (also called Catfish). 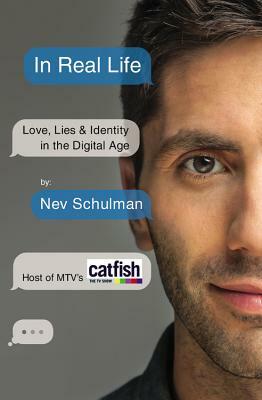 In that film Nev coined the term "catfish" to refer to someone who creates a false online persona to reel someone into a romantic relationship. The meme spread rapidly. Peppered throughout with Nev's personal stories, this book delves deeply into the complexities of online identity. Nev shows us how our digital lives are affecting our real lives, and provides essential advice about how we should all be living and loving in the era of social media. Nev Schulman is the host of MTV's #1 series, Catfish, which 2.6 million people watch in the U.S., plus millions more worldwide in 25 other countries.